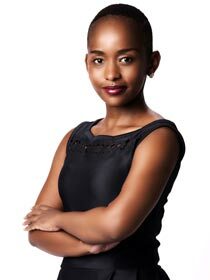 Lynette Ntuli is the Chief Executive Officer of Innate Investment Solutions, a South African entity that provides property, asset management and infrastructure solutions to the built environment and custodians of land and property portfolios. Ntuli has previously held senior leadership roles in the commercial, development and investor spheres of the property and trade and investment sector and sits on the executive committees and working groups of various industry-related organisations. Over a 12 year period, Ntuli has gathered experience in asset management and development, commercial and infrastructure planning and strategy in operational, development and investment roles. Her knowledge of regulations and compliance within the built environment and ability to articulate this insight into turnkey solutions and commercially viable business models is an asset to the sector in which she operates. She holds post graduate property specific qualifications from the University of Pretoria. Her experience in the trade and investment sector required the use of the organisational capacity of the private and public sector to facilitate growth, national and international trade activity within the priority sectors of the regional economy with a focus on Infrastructure Development and Planning across sectors and departments. This included understanding Government planning and development policy, asset management frameworks and processes related to audit, investment and compliance. Her corporate and public sector experiences have provided her with a track record in property management and development, asset management, corporate affairs, retail and commercial development, the development of feasibility and analytical studies; international business and trade development, priority sectors planning and development and strategic project management skills. Lynette has been well profiled for her executive positions, amongst them becoming the first woman in South Africa to become GM of a super-regional shopping centre (The Pavilion) and CEO of the Durban Business Enhancement Initiative. Passionate about youth development and leadership, Lynette is a Founding Director and Chairman of IgniteSA.com, a youth oriented digital media and programme platform which curates content in Education, Skills and Entrepreneurial Development in South Africa. Awards and accolades received include the Fun Fearless Female Award 2008 Cosmopolitan Magazine (Associated Magazines SA – December 2008); “Woman to Watch” Destiny Magazine (Ndalo Media – June 2009); “Under 30 and on Top Feature” O Magazine (The Oprah Magazine – April 2009), the Mail and Guardian’s 200 Young South Africans 2012 Award and she has been featured in the 2012 Power of 40 – Destiny Magazine (November 2012). She has also been named the Glamour magazine Woman of The Year 2014 winner in the business category. She also presents Business Day TV Show (BDTV, Channel 412), SME Funding, in a weekly time slot. Lynette is a World Economic Forum Global Shaper and Founding Curator of a South African hub. In 2014, she had been selected as one of the Top 200 Leaders of Tomorrow by the St Gallen Symposium – the world’s premier symposium on leadership, politics and society. Lynette is a 2014 Mandela Washington Fellow in the flagship program of President Obama’s Young African Leaders Initiative (YALI), a former Advisory Board member of First National Bank (FNB) in the Kwazulu Natal Region and a member of the African Leadership Network. Lynette is actively involved at an executive and member level within various organisations including the South African Inst. of Black Property Practitioners (SAIBPP), Women’s Property Network (WPN), South African Property Owners Association (SAPOA) the South African Council of Shopping Centres (SACSC), International Women’s Forum (IWFSA) and Institute of Directors SA (IODSA). She is currently the Vice President and President Elect of SAIBPP in the 2017 term and the Interim Chair of the Commonwealth Alliance of Young Entrepreneurs in Southern Africa (SADC). She has served as Vice Chair: Durban of the Businesswoman’s Association, as a SIFE (Students in Free Enterprise/ Enactus) National and World Cup Final Round Judge (Malaysia 2011); Retail Development and Design Awards 2009 Judge; a Green Building Council of S.A Technical Working Committee member for the development of the Retail Green Star Tool. A proficient; articulate and professional MC; she brings a touch of glamour and rich content to any programme she directs. She has spoken before Presidents and Ministers; captains of industry; academia; economic sector; cultural and social groups; women; the youth; aspirant professionals and audiences in rural; township and untapped areas. Being multilingual; widens her appeal.